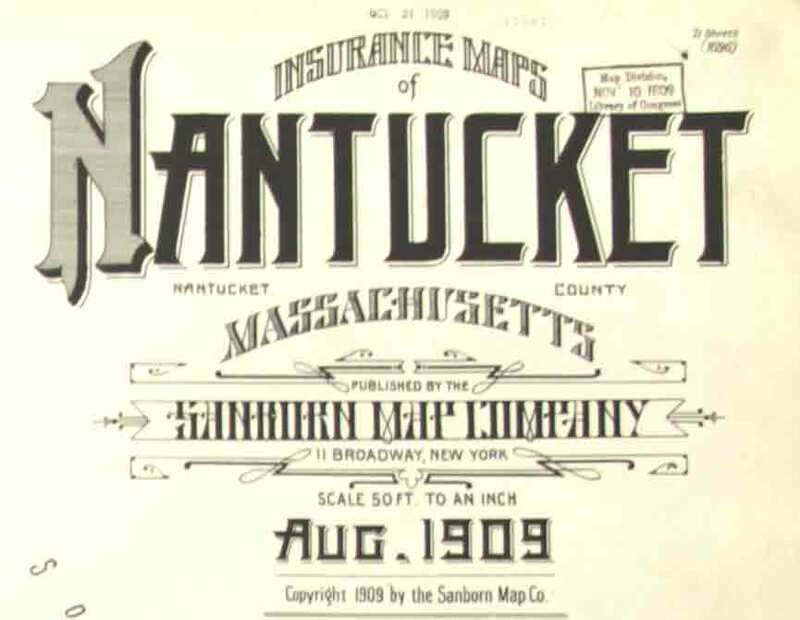 Remarkably detailed maps of Nantucket were made in the late 1800s - early 1900s for the purposes of fire insurance. These color maps show details of building construction in the built-up areas of the village - with special attention to industrial sites. The original maps are rarely seen today, as they were not mass-produced and few copies survive. We have photographed all 73 maps included in the five earliest sets from the collection of the Library of Congress - covering the period 1887-1909. The first page of each set has an elaborate title. Above is the 1909 title to the 21 sheets of that year. 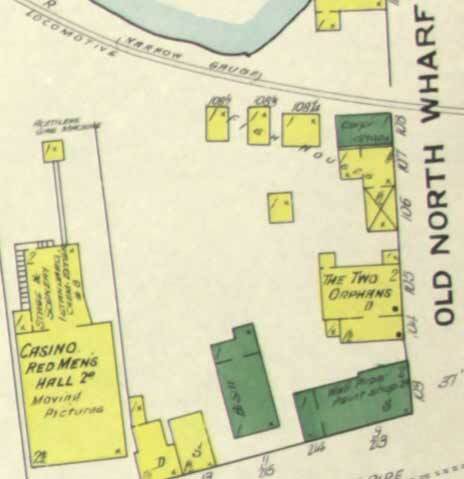 To the right is a detail of the buildings near the Old North Wharf in 1909. We are pleased to make color copies of these "Sanborn" maps available in a convenient form for the first time since their publication a century ago. The links below will lead you to some low-resolution copies. Because these are digital photographs and not scans, you may not be able to read the smallest lettering. To buy prints or image files*: Color prints on 11" x17" paper and shipped by US mail. *All 11"x17" prints are approximately half the size of the original. Please note that the smallest text may be blurred and hard to read, but the quality is better than seen on the web site. For more information, send an Email Or call 413-772-2801 days.